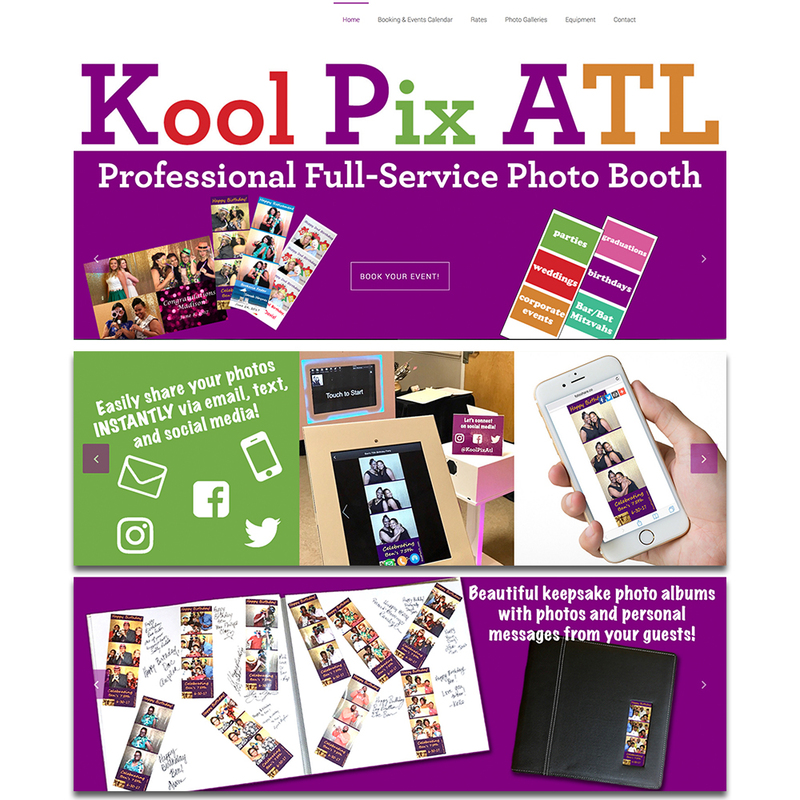 I built the website for KoolPixATL.com, a professional full-service photo both company in Atlanta, GA. 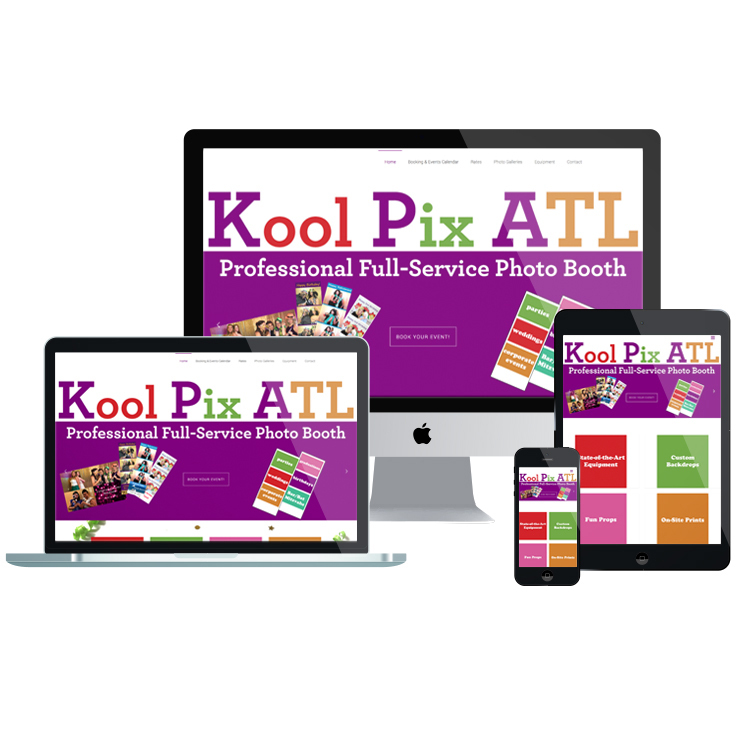 I established a solid color scheme, created custom slider images for the home page, and integrated forms, a calendar, and dynamic photo galleries. I established the brand and its social media platforms, and I continue to manage the company’s online presence, regularly shooting and editing photographs, creating content, and serving as project manager for client events.